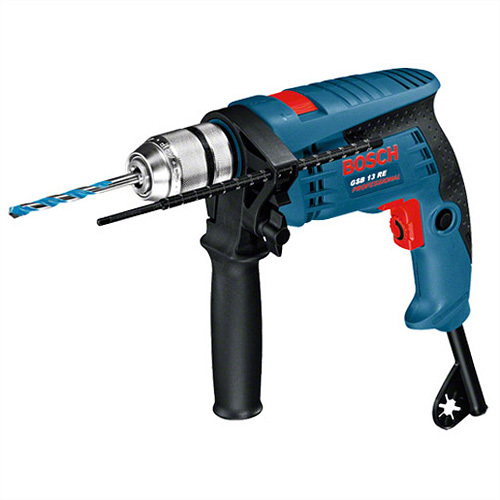 Bosch professional GSB13RE 110V and 13mm Impact Percussion Drill. Extremely handy: no bigger than a glove and 1.8 kg light. Robust, twin-sleeve keyless chuck made of metal for fast bit changes. Speed pre-selection with setting wheel. Soft grip for a secure hold. Electronic control for exact pilot drilling.